Fair Trade labelling is one of the ways to help commercialize Fair Trade. Gelkha Buitrago from Fairtrade Labelling Organisations International (FLO) explained to the Brussels Briefing how certification standards work. Gelkha Buitrago agreed with Ms. Osterhaus that Fair Trade should follow a holistic approach in which trading standards and market access are used as “development tools” – to “strengthen the development and empowerment of the producer organizations.“. FLO grew out of Fair Trade history beginning in the 1950s, when Fair Trade started as a grassroots movement. In 1987, ‘Max Havelaar‘ was launched as the first Fair Trade label in the Netherlands, and oher labelling initiatives followed in Europe and North America. In 1997, FLO was founded. 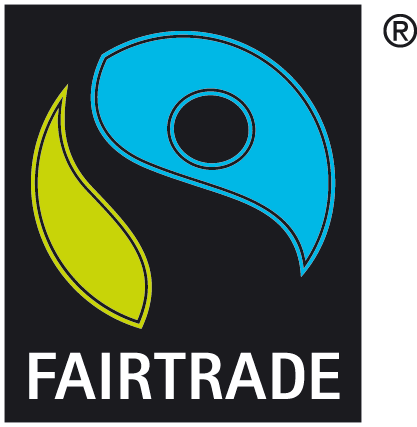 In 2002, it launched FAIRTRADE Certification Mark. FLO Fair Trade standards for producer organizations and hired labour address all three pillars of sustainability: Social development is encouraged by promoting democratic, non-discriminative and transparent organizations where the majority of members are small farmers. Child labour is forbidden and employers have to address occupational health and safety principles. Employees have the right organize themselves in an association and bargain collectively. Economic development is addressed by guaranteeing a stable minimum price plus premium and market access. Environmental development is strengthened by encouraging members to protect the environment, avoiding agrochemicals, waste and GMOs. It is important to note that there are standards for both producers and traders – who have to undertake long-term relationships with the producers and pay the agreed minimum price plus premium, in advance if required by the producer. How does FLO address some of the challenges in this area? To ensure the compliance with standards, the Producer Business Unit supports producers to understand and comply with the standards and maintain certification. The costs of certification can be covered by the Producer Certification Fund, or later by the Fair Trade premium. The participation of Southern producers is tackled by their involvement at all levels within FLO. To maintain and even increase the market access of producers, FLO and its members’ labelling initiatives try to raise awareness, open markets and identify market opportunities in the North. To further extend these certification schemes, FLO is member of ISEAL and works with organic certification bodies to reduce the costs for producers. 16 April: Does Fair Trade contribute to sustainable development?